it’s been longer than i can remember since i just sat down and wrote a blog post spontaneously. i used to write two blog posts a week, essentially all of 2017. it’s hard for me to believe. i’ve strayed farther than i’ve wanted from the book community, in retrospect. i have no idea what books are even releasing in 2019 except for King of Scars lol. i’ve grown so far from my friends in this community. i’m sorry for that :'(. i didn’t want this to be a post apologizing for being so absent from the community, but it’s turning into that. i feel so sad that i’ve been so absent, and all i can say is that, i’ll try harder especially as a new years resolution. i’ll get back to the events of the fall now. fall 2018 was a fall of music. i listened to music in the morning, afternoon, and night, and all the while danced around my room ridiculously like a noodle. here are some of my faves from past three months. sunset season (EP) by conan gray — it brings me so much joy that Cone has finally released his album and is achieving his dreams. the music is lovely and gives me such lorde vibes. my fave is “lookalike” by far. i have been listening to this album on repeat (!!) since it came out. when the party’s over by billie eilish— billie suddenly got really popular this fall and that’s so exciting for her! i’ve loved her music for years now and this song is gorgeous. ariana grande — i even surprised myself by falling in love with her music, especially thank u, next which is thE BOP of the fall. i don’t normally love pop music but ari is the exception not the rule. i like her as a person, which is what makes her music stand out to me. declan mckenna — i love his album so much. I NEED ALBUM 2 MY DUDE. my fave song right now is Bethlehem, but Brazil and Listen to Your Friends are also suuuper rad. the NPR tiny desk concert by declan is also amazing. personally, i think he’s even better live than in studio. i’m also slightly getting into kpop but i need some recs from you guys PLEASE. i like blackpink (ik basic) and loona a whole lot right now. call me lame, but i’m waay too excited to see how many hours i’ve logged on spotify this year. statistics about my music listening and stuff of the like are exciting to me (a testament to how much of a nerd i am). fall 2018 was a fall of thinking (tentatively) about college. i have less than a year before i apply. it’s scary because i don’t ever think i’ll be ready for that, much less good enough to get in to a lot of schools. i’m telling myself to be optimistic though, and not to think about it too much. yet. college counseling starts soon. i went and visited Brown a month ago. i loved it so much. it scares me how emotionally invested i already am in it, how much i want it already. i visited princeton and that was a nah from me but Columbia was suuper dope as well as Barnard. i still have to research some safety schools and visit a ton more before next fall. 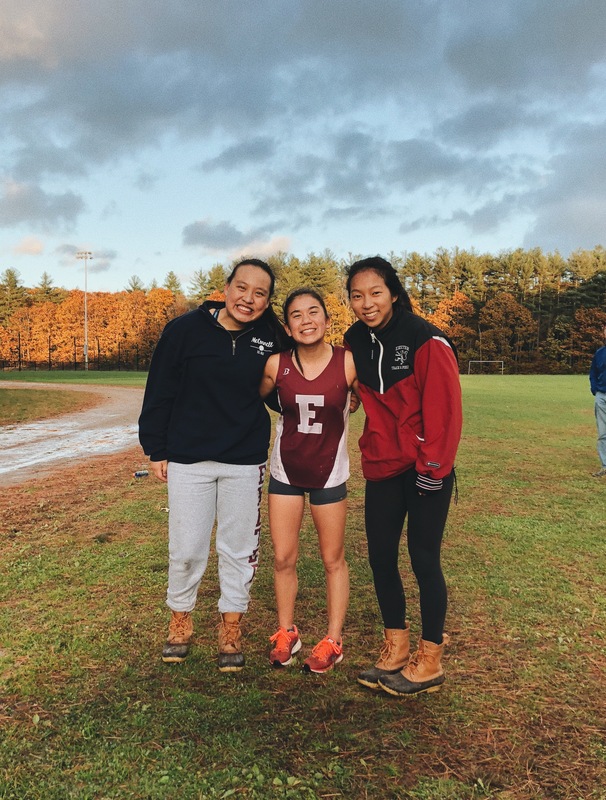 fall 2018 was a fall of running. about 300 miles of running logged this fall! i didn’t race as well as i wanted during the first part of the season, but major improvements were made during the last two races! 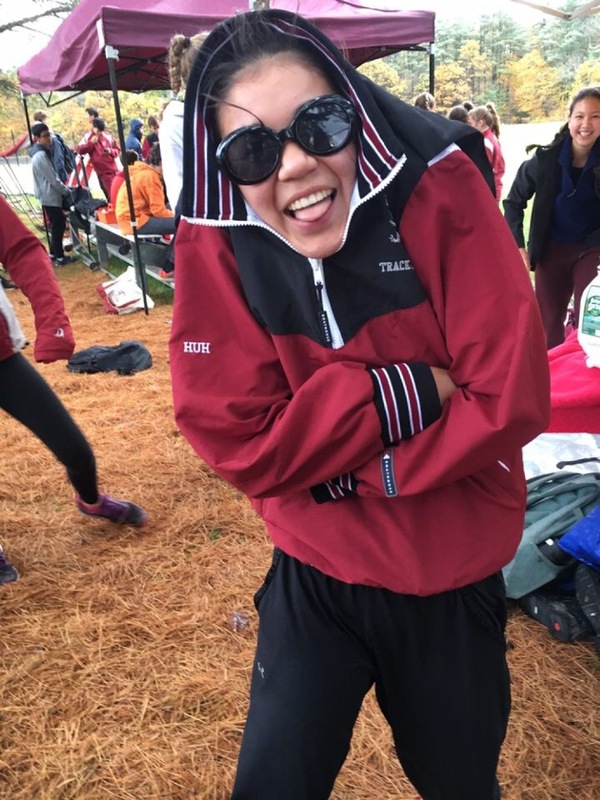 now i only have one more season of cross country left in my career 🙁 here are some wholesome photos to capture the ~fall mood~ of cross country season (idk what to say about the last one. i am swag itself.). fall 2018 was a fall of … not making creative things. i didn’t blog, i didn’t make much art. sure, i did tons of schoolwork, but did i get any creative fulfillment this autumn? not really. i’m trying to figure out how i can hold myself accountable/make time for creative endeavors like blogging. i’m also thinking about new projects (podcast w/ tea & chats?) i could take up and want to do, not just feel obligated. i’m trying to find a happy medium on bookstagram, where i can post not all book stuff and still have good engagement. fall 2018 was a fall of reading one (1) book. sometimes i fear that i’m falling out of love with reading. i don’t connect the same way i used to with YA, and a vast majority of the time, it’s like i’m reading the same book over and over. nothing feels unique or captivating. and i end up rereading Radio Silence because i love it so much more than anything else. does anyone have any recommendations for fans of Donna Tartt? i could use something like that right now. and when i don’t read any books, i feel that i don’t have anything to blog about, which is problematic for making relevant content. fall 2018 was a fall of memories, forever important to me. i learned dactylic hexameter and translated 700 lines of latin poetry. VERGIL YEET BOI. i hiked 15 miles up 3 mountains. it was fun the first 8 miles. it went downhill from there. 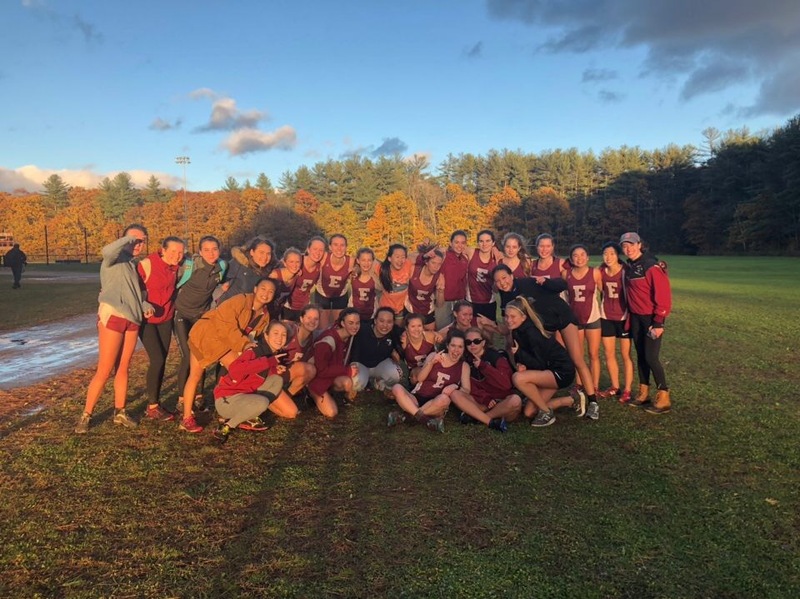 in cross country we beat our rival school as well as becoming new england d1 champions. i woke up at 5 am to go collect specimens for marine biology class. i wrote a 2000 word outline about abolitionism and uncle tom’s cabin. AN OUTLINE. 2000 WORDS. WHAT. this post doesn’t have much of a BIG ~UWU~ POINT where i talk about how everything is great and going fantastically. it’s going okay-well at least, but mostly, i wanted to sit down so badly and write a long spontaneous post before i went back to school again after thanksgiving. i love u guys & take care.